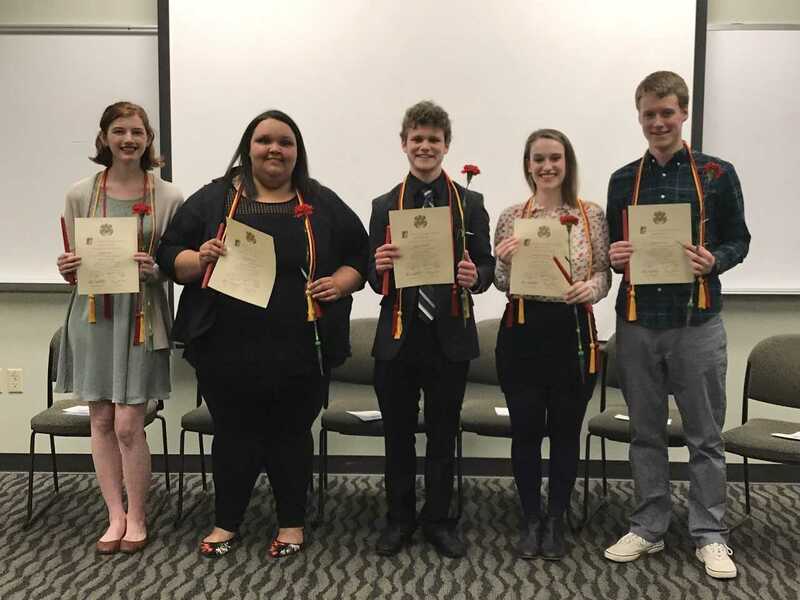 On Friday, April 6th, 5 students were nominated for lifetime membership in the Wright State chapter of Sigma Delta Pi, la Sociedad Nacional Honoraria Hispánica. These students met the overall requirements for membership, holding a minimum 3.0 GPA in their Spanish courses and a 3.2 overall GPA, as well as having successfully completed at least one course in Hispanic literature or Hispanic culture and civilization. The Iota Omega chapter of Sigma Delta Pi, the only honor society devoted exclusively to students of Spanish in four-year colleges and Universities, represents the Society's dedication to recognizing outstanding achievement in Hispanic language and literature and promoting the cultural contributions of the Spanish-speaking world. Following the ceremony, we celebrated the accomplishments of these students with their family and friends during a reception prepared by the Spanish faculty members. We all enjoyed many delicious treats from the Hispanic world, including ensalada rusa, Spanish tortilla, ceviche, and Mexican wedding cookies! Felicidades to all of them!